That was my mantra when I woke up today with a nasty hangover. The only thing that never fails in getting me through these times is Pocari Sweat! 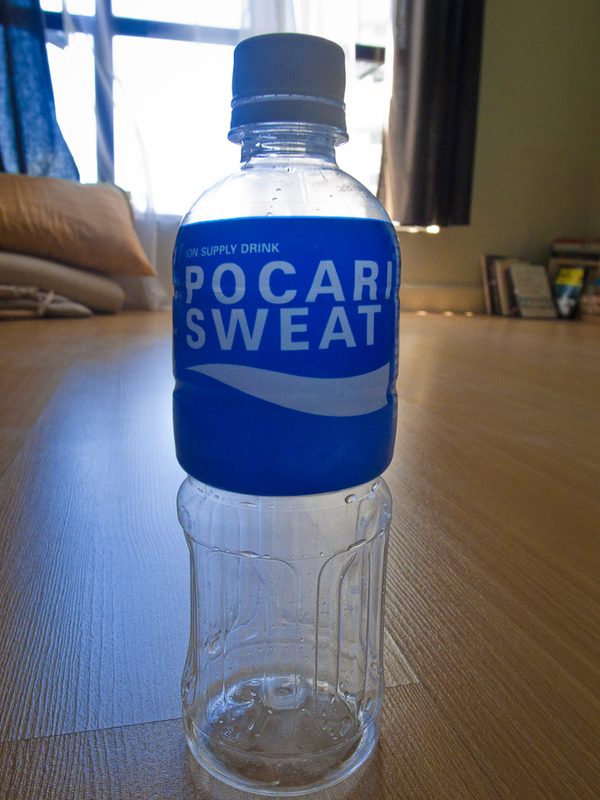 A couple of years ago a friend introduced me to Pocari Sweat. I was cured of my hangover halfway through the bottle. Never mind the taste. Pocari Sweat works like magic. The sweet and sour taste was not appealing on my first few sips but it has the kind of weird flavor that grows on you. I have recommended this to friends and family and they all agree that this is the best and fastest remedy for hangover. So if you see me chugging a bottle of PS, you know what I'm going through. Another surefire way to tone down the dreaded 'morning-after' feeling is to drink a glass of water before hitting the bed. That is if you still have some stream of consciousness left in you. Unfortunately for me, my memory stopped functioning way before I decided to finally call it a night.